In order to further extend our product offering, we've moved shopping platforms! Thanks for bearing with us! 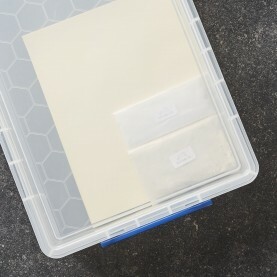 Alum is a mordant for making your inks stick to your paper or fabric when marbling. Larger quantities available on request. 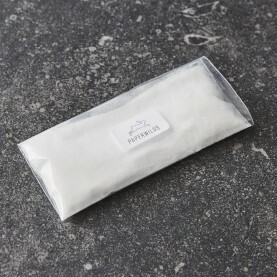 Please note: The alum comes in two forms (both work in the same way) and will either arrive as either a bag of powdered alum or as crystals. A lovely pre-sewn block made with smooth white lined 100 gsm paper. 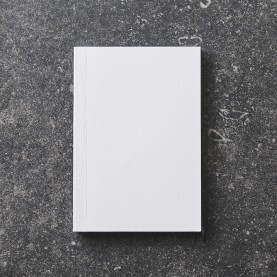 The paper is recycled but has a clean, pure white finish. Beautiful for writing on with ballpoint, pencil and fountain/ink pens. 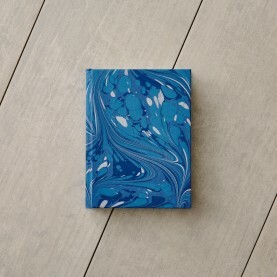 *These book blocks are also available in wholesale quantities and prices. Please contact us with your requirements. 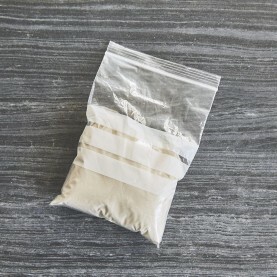 100g of refined Carrageenan moss powder for marbling. Every order comes complete with a set of instructions for making up the size. 500g of refined Carrageenan moss powder for marbling. Every order comes complete with a set of instructions for making up the size. Image used for illustrative purposes only, the bag will be bigger! 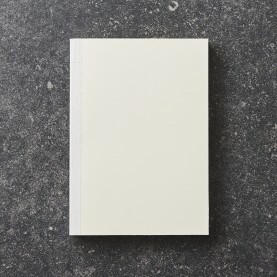 Blank notebook made with lovely 90gsm ivory laid paper. *These books are also available in wholesale/bulk quantities and prices. Please contact us with your requirements. 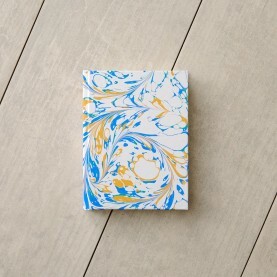 Marbled notebook, marbled and bound by hand in our workshop. Please note: while efforts are made to photograph item colours and shades accurately at our end, exact matches cannot be guaranteed as we have no control over the quality of the display on your device. Thanks!